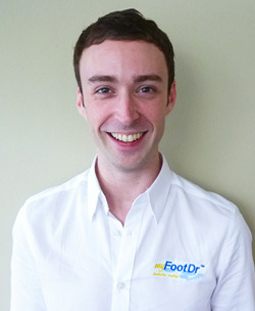 Niall is a British trained and registered osteopath. He earned his 4 year bachelor of osteopathy degree from the British school of Osteopathy in 2007. Since then, Niall has completed many post graduated studies in cranial and visceral osteopathy. Niall has been working with kids, adults, elderly and athletes alike over the years. Having worked with regional rugby teams in Ireland Niall has developed great sport injury management skills. He has a keen interest in chronic, long standing musculoskeletal conditions and their management. Working in Ireland in a small town clinic for 5 years and in busy Singapore for 2 years, Niall is well versed in all types of patients and their conditions. He employs a gentle approach to all treatment with focus on tying all the biomechanics and areas of tension acting on an area of dysfunction, together. By treating both the area of dysfunction and contributing tensions from elsewhere we increase success rate and reduce relapse rate.